According to Allegis Group’s latest pulse survey, more than 42 percent of workers believe their present skills will only carry them in their careers for the next three to five years. Another 20 percent give their existing skills only one to two years of relevance, and another 10 percent believe they need to upgrade their skills within the next year to remain successful in their fields. In total, nearly 60 percent of the workforce is worried about their current skill set. These figures reveal a very troubling challenge. When employees feel their careers are at risk due to a skills issue, they begin looking for more supportive employers, or they are eventually forced to leave as their skills become obsolete. In turn the organisation then needs to acquire new workers to keep up with turnover, and that puts more pressure on talent acquisition. Add the reputational hit of being known as an employer that does not develop its employees, and the burden of acquiring new talent grows even higher. In other words, learning and development is not only an employee development challenge; it’s also a talent acquisition issue. 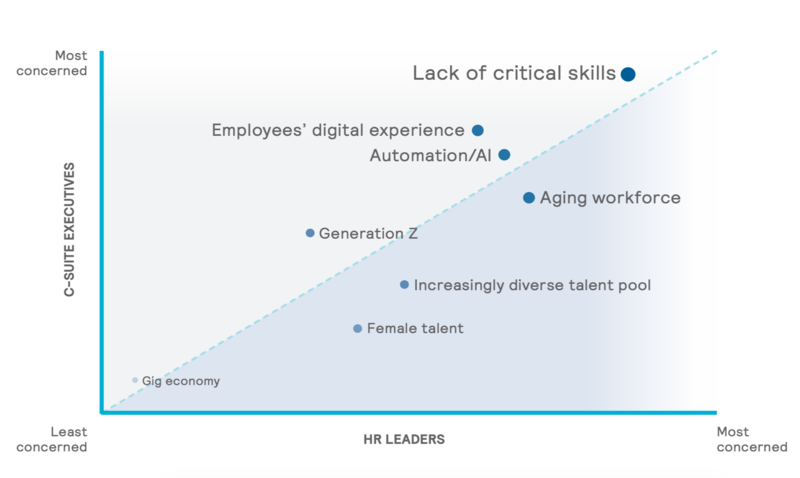 By taking the pressure off talent acquisition to make up for skills development shortfalls, companies can improve their ability to secure the vital capabilities they need. To get started, organisations can re-examine assumptions and approaches they may have held about employee development in the past. In particular, employers can take a closer look at getting active about skill improvement, widening their set of programmes and resources, and boosting their commitment to budget and resources for learning. For improving skills development, the first and most pressing priority for many employers is to shake the dust off the passive programmes that are in place. Many employers underestimate the value of training and education to their employees. They offer sporadic training, or they provide passive access to learning modules while failing to promote those resources. Additionally, they may become lax in adding new material. Under these conditions, skills development resources become at best uninteresting, and at worst entirely ignored, and the employer may assume employees do not care. But that is definitely not the case. According to the survey, only four percent of respondents believe their role does not require new training or skills updates. For the other 96 percent, an organisation would do well to push more compelling learning and development opportunities to its employees. Getting active about skills development requires a focus on several important questions. Is there a review process for assessing current programmes? Is there a feedback loop that lets employees make suggestions about what works for them? Is there a learning culture that gives employees time to take on skills development as part of their daily jobs? If the answer to these questions is yes, the organisation will be on the way to a more engaged workforce, committed to acquiring the skills it needs. There are numerous ways for employees to acquire vital skills and knowledge. Each learning approach has its merits, and some employees will respond differently to one mode of development compared to another. Employers are, therefore, wise to provide a variety of learning opportunities, and research shows there is ample opportunity to stand out. When asked which of several learning programmes or solutions their current or most recent employers offer, the leading answer among Allegis Group survey respondents was “on-demand training modules” (cited by 45 percent). Perhaps the bigger story is that 31 percent of respondents reported “none of the above,” suggesting employers have a clear opportunity to bring other options to the workplace. 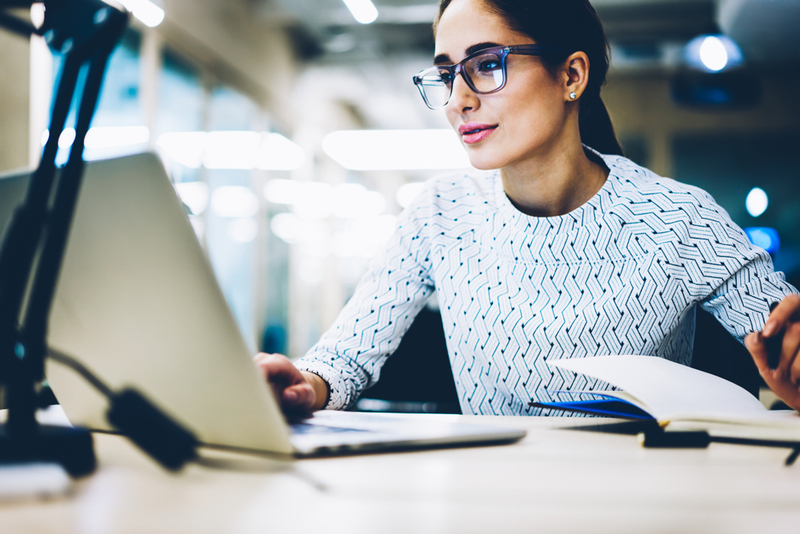 By looking beyond online training modules, an employer can uncover numerous learning opportunities, such as conference attendance, mentoring, certification programmes, lunch-and-learns, stretch assignments, college classes, and instructor-led training programmes. The array of available strategies for learning are surprisingly large. Get creative. But Does This Stuff Pay? While suggesting companies invest in multiple skills development programs is easy, employers cannot do everything. Each approach requires a commitment of time and money. To make a case for investment, consider the stakes. A recent Society for Human Resources Management (SHRM) articleobserves that the total cost of replacing a lost worker is approximately a third of that worker’s annual earnings. Put the data together, and the picture crystalizes: a significant investment in learning and development for critical employees is worthwhile when compared to employee replacement costs. At the same time, providing training and resources, along with incentives and opportunities for learning, can help employees acquire the specific types of skills a company needs. Employers cannot afford to ignore the need for skills development in the workforce. Advances in technology create demands for new capabilities across all aspects of work, and relying solely on in-house development strategies can be risky. An objective perspective from a talent strategy expert can help prioritise learning approaches that deliver the most impact, and it can help ensure that the effort to improve also translates to an improved employer brand. The result is a learning and skills development strategy boost that benefits employees, talent acquisition, and the business as a whole.